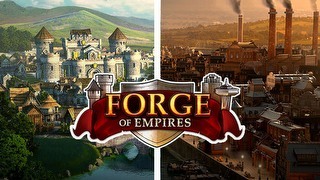 The main premise of this strategy game is to involve players in resource pooling, building and modernizing buildings, raising a number of units to expand their territory to areas of Europe and North America, which are subdivided into provinces that correspond to specific real world countries. After joining the game, the player gets a randomly selected country where he will start his stable development, preparing to defend his own province and attack other provinces. The title, though highly elaborate, does not overwhelm the options, mainly thanks to simple graphical forms. It is worth to spend the first few minutes of game in a short tutorial, which will briefly introduce us to the most basic gameplay elements. However, if at some stage of the game we feel a bit lost, we can always use the help window, which describes all available actions. In addition, we can also count on the board of advisors, who will suggest us to perform specific activities during the various stages of the game. When you sign up for a new account and join the server, players are randomly allocated to different countries. Each country contains a certain number of provinces, and each contains key features such as resources, Victory Points, terrain features, etc. The game begins on Day 1, with the goal of gathering as many Victory Points as possible to win the round. In theory landing at the beginning of the game in a smaller country can mean a lot of difficulty in clashes with other players. In practice, besides attacking enemies, the game makes it possible to make alliances, which will surely prove to be an effective tactic against a larger enemy. Ultimately to win, you must accumulate as many Victory Points as possible, which concludes the round and the game, and then you can be allocated to the new game. Each of the nations is built on the raw materials needed for development such as food, goods, human resources, metal, oil, rare materials, money and premium currency - gold. These are elements necessary for the construction of new buildings, their later modernization, the production of units, and the exploration of new development opportunities. The resources held by a given country come mainly from controlled provinces. Each of them generates human resources and money into the pool, but the rest of the resources we gain only by controlling specific, key provinces, which makes certain territories very valuable and desired by all players. 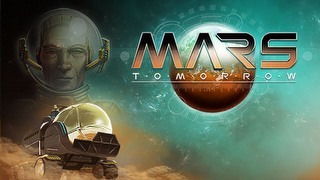 In addition to managing resources, players must also consciously manage their own time, which will be spent researching new technologies, expanding cities and buildings, or establishing new military units. Each of these actions takes a certain amount of time to execute them. Moving units around the map also takes time, which can often take up to several days of real time. This requires a lot of planning ahead, for example, if you decide to order your units to fall back, you must also consider the time it will take for them to return. Due to the fact that by default it is not possible to create a queue for the actions performed (each subsequent can only be done after the previous one), managing the coutnry will mean hands full of work. Of course, we can buy a VIP game access, which will give us some special options to help you manage your business, such as queuing and much more. All activities can also be accelerated using gold - the premium currency. As the game progresses, each player will certainly want to conduct further research to develop the best technology available. There are different units that we can call to arms and they are divided into several categories: infantry, armored, airborne, marine and special. The latter are in particular specialized units and weapons of mass destruction. Each category has its own development tree, which means that previous research needs to be carried out in earlier branches of development to ultimately reach the most powerful solutions. Espionage is a very important aspect of the game, and conscientious use of this aspect of the game can not only protect the player from trouble by gaining knowledge on hostile territory, but also hindering hostile spies by using counter-intelligence in their own country. Spies can collect all information about opponents, inform about the location of enemy units, sabotage the production of raw materials, etc. Please note that besides spying the most dangerous rivals, it is also worth to have an eye on any neighbors who may not yet be hostil, but in the future they may be a threat to us. Finally, it is worth mentioning the premium content, that is, the previously mentioned gold and the VIP subscription. The gold is a basic currency that can be used to shorten each action. The more gold we sacrifice, the sooner the action will be completed. And so, instead of waiting a few days to complete a key technology study - at a reasonable fee, we can get finished in few seconds. Being a VIP member gives us a number of pretty useful privileges, which we absolutely recommend to those who plan to spend more time with the game. You will primarily receive skills that are not available to standard players, such as free gold parcels, quests, advanced fire control during battle, and much more that you can read in the game itself. Moreover, you need to know that we get a lot of gold in the game for free, so when you're using it thoughtfully - we'll definitely get a quick advantage on the game map. Call of War is a very interesting MMO title. First of all - it is a very attractive game for fans of strategy games, due to the level of development of this title, which despite the number of features - does not overwhelm. Thanks to the so-called global newspaper system in the game, documenting all the events and a really interesting addition that makes the world more alive and personal. Thanks to the newspaper, we are able to be up-to-date with every event on each front, or track who's currently leading the game. 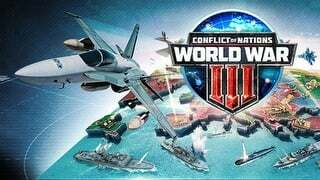 It is worth to consider buying a premium subscription (which de facto is quite cheap), which will definitely make the game much more enjoyable for a player planning to stay longer in the world of Call of War. If you plan to play longer, consider buying a premium subscription. It is not expensive and will definitely help you during the game.